If you make numbers of plug wires or do a lot of custom wiring, the new Pro-Crimp Tool is a must for your toolbox. 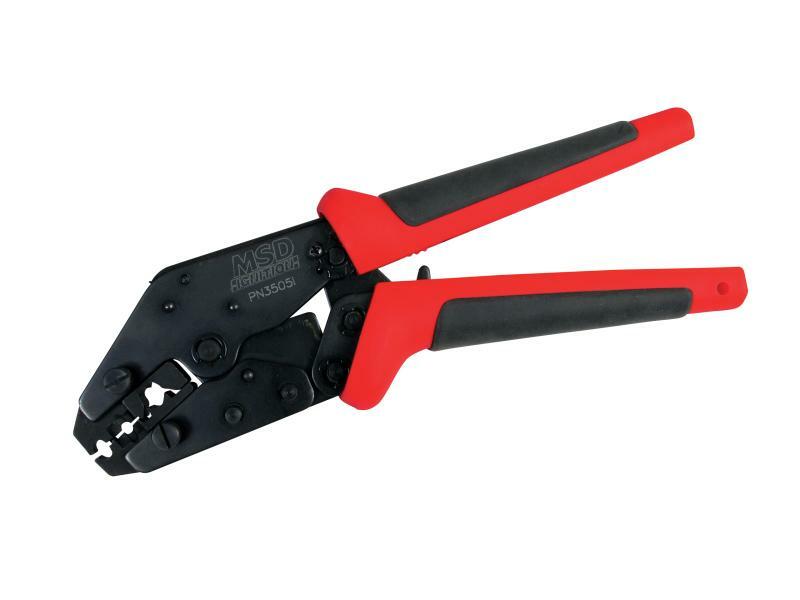 The Pro-Crimp features interchangeable jaws allowing for a variety of different style crimps with one heavy duty tool. The Pro-Crimp features a hardened steel frame with comfortable molded hand grips. The slick ratchet action provides secure, factory quality crimps every time. The Tool is supplied with precision crimping/stripping jaws for MSD’s spark plug terminals. The MSD Pro-Crimp Tool, PN 3505, is equipped with spark plug style crimp jaws and with these new jaws you can get perfect crimps on a variety of Amp connectors!